With the pressure on to get things together for this weekend's showing, it was a great time to take a step back and get on the water with my lovely wife. We hit up the La Jolla caves but the windswell and wind weren't in our favor. So we hit up Mission Bay. We needed to paddle! There was a little texture on the water but it was minor compared to LJ. Now, I can breathe again. We got back home and wrapped all my canvas prints for the show and had a beer and burger to end the day. 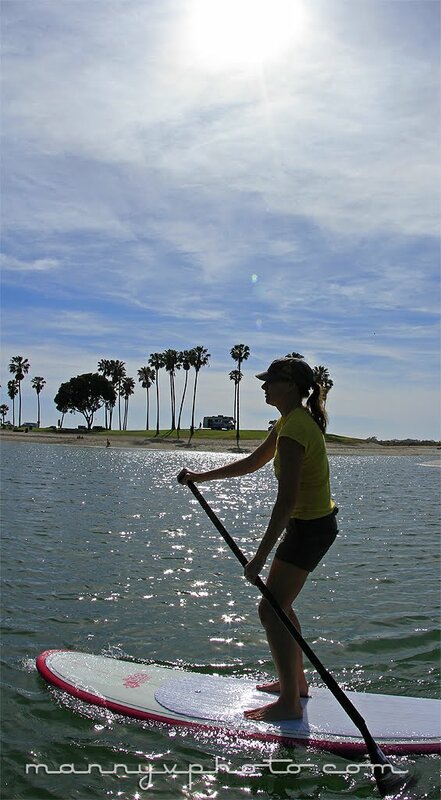 If you get caught up in your routines or feel the pressure of life, take a break.... SUP on calm waters will get you back on track. Whoa... that sounded like a commercial! Sorry. 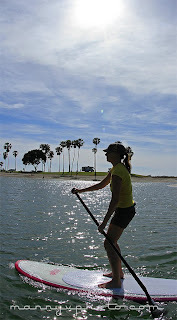 Thanks John from PaddleSurf.net for the loaner!